Broken Sword is a franchise centered on a series of adventure games. The video game series was originally conceived in 1994 by Charles Cecil, Noirin Carmody and Sean Brennan, while talking about the mythology of the Knights Templar. 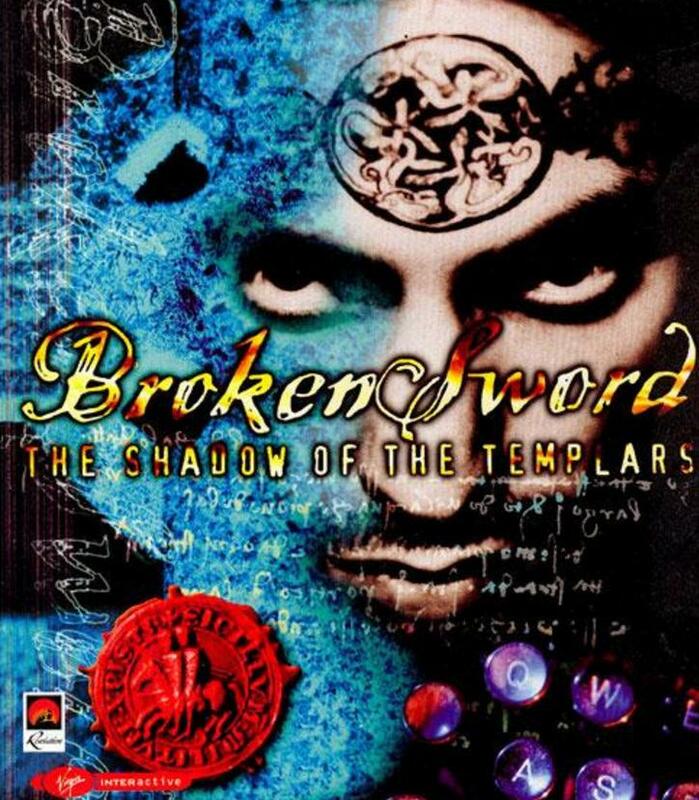 The above is the boxart of Broken Sword: The Shadow of the Templars, the first game in the series, released in 1996 by English video game company Revolution Software. The fonts used for the game logo on the boxart are Ovidius Script (“Broken Sword” part) by Thaddeus Szumilas, and FF Confidential (“The Shadow of the Templars” part) created by Just van Rossum. For the font used for the logo of 2009 remake of the first game, known as Broken Sword: Shadow of the Templars – The Director’s Cut, it is very similar to Pieces of Eight by Steve Ferrera. You can download the font for free here. If you do not want to download and install the font but just like to create simple text or logos using Broken Sword (Video Game) Font, just use the text generator below. The following tool will convert your entered text into images using Broken Sword (Video Game) Font, and then you can right-click on the image to save it or click on the "EMBED" button to get links to embed images on the web.